The Forager team had identified that the $14bn local food industry was ripe for expansion, and came to FM with a significant challenge: help us build a product that changes the way local food is sourced. Maine’s diverse and dynamic agricultural and aquaculture communities combined with its passionate foodie culture made it the obvious place to launch the initial beta. Because the procurement to payment process in this industry is outdated and inefficient, it is costly and difficult for grocers, restaurants, distributors and institutions to purchase food from local farmers. There is supply available, and well-documented consumer demand, but they had not yet been linked together. Our engagement began with in-depth discovery. We interviewed and shadowed buyers for local grocery chains, farmers, and restaurant owners to understand the challenges and pain points in their daily routines. 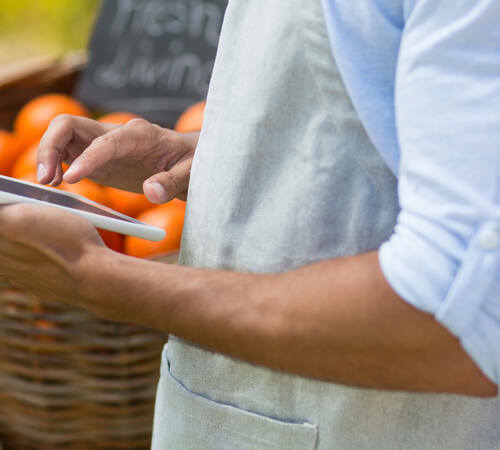 We learned that grocery buyers and restaurateurs are still very much anchored in how they’ve always done business; face-to-face with suppliers. Invoices are often scribbled on paper, messages left on answering machines, orders personally delivered, and paid entirely with paper checks. We identified many opportunities for technology to simplify and streamline the process. During development the FM and Forager teams co-located to maximize collaboration. We iteratively released working software starting within a month of kick-off and then adhering to our creative and aggressive release schedule that was planned around the brevity of the growing season here in Maine. The end result is a procurement platform that significantly streamlines the purchasing process. Users on the Forager platform report a notable increase in productivity by offering digital efficiencies and accuracy to this previously manual process. 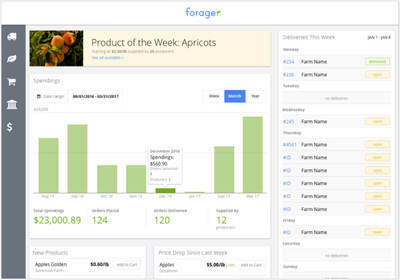 Forager offers functionality for real-time product availability updated by local producers, order & delivery management, EFT payments, in-app communications and insights & analytics. FM and Forager continue to work together defining the next frontier for this powerful application. 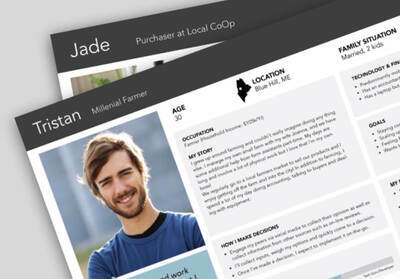 Currently the Forager beta has 15 buyers from grocery stores, co-ops and institutions as well as 100+ producers from small farms to larger local food wholesalers. Recently, the Forager beta has expanded to Massachusetts, New Hampshire, Vermont and New York. It continues to attract very positive press from a variety of sources, including a recent article from Forbes Technology Council, who selected Forager as one of 8 tech start-ups that they believe will more than likely become a household name in the near future. Forager is going to make waves. This company changes the way we source food, making locally grown options more readily available. The technology that Forager implements will transform a billion-dollar industry that affects every single one of us.